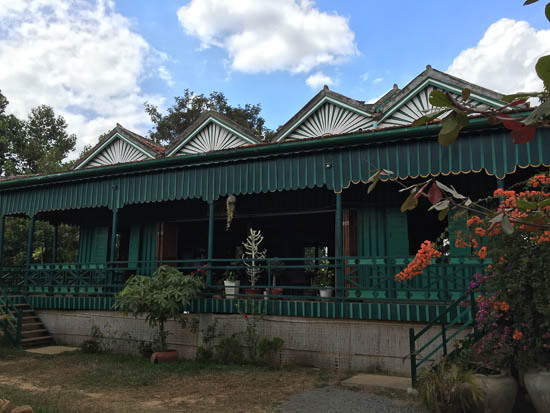 There’s something in the Kampot air that encourages relaxation, and The Greenhouse has distilled it, and then improved it by adding some fabulous food to the mix too. 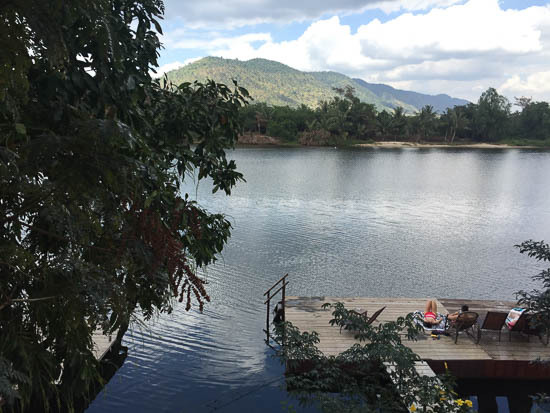 Located four kilometres outside of Kampot, near the Teuk Chhou rapids on the west riverside, and down a quiet, rutted countryside lane, this tranquil spot is carefully designed for maximum unwinding. It’s a great place to commune with nature, explore the surroundings, swim before breakfast and above all, breathe. The centrepiece. No misleading advertising here. The bar, restaurant and relaxation deck make up the Greenhouse itself, a beautiful old teak house right on the river. There’s a story to the building, which used to be a favourite Phnom Penh riverside bar — an institution among the capital’s longer-term residents who fondly remember Snowy, the original owner — before being rescued from redevelopment and transported to Kampot. Set on a bend, you can watch the fishing vessels travel downstream on their way to work and see kids being transported to and from school in longtail boats. A deliberately small number of bungalows are spread throughout a well-tended tropical garden. 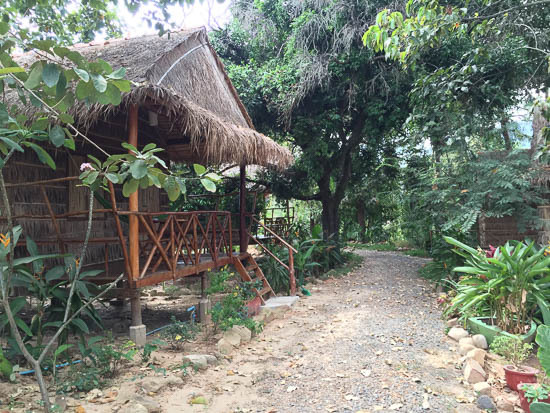 Each bungalow comes with a hammock and a small deck for relaxing, a fan, double bed with mosquito net and complimentary drinking water. Shared bathroom facilities are a little walk from the accommodation, so for an extra $5 it’s worth getting your own toilet and shower. The deluxe ensuite bungalows have the prime position with the best river views and a fully kitted-out tiled bathroom with shower cubicle. We’ve heard the bungalows can get extremely hot in the hot season. To ensure a restful stay for all, the bar closes at 23:00; this is definitely not a late night party place. 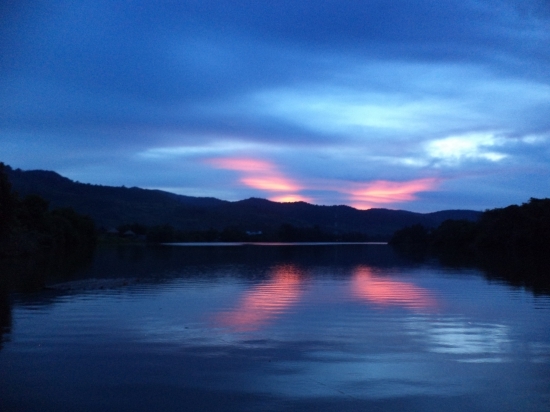 Instead, guests fall asleep to the sound of frogs and insects, and make the most of the day with free bicycles, kayaks ($1 an hour for guests) and plenty of river swimming. 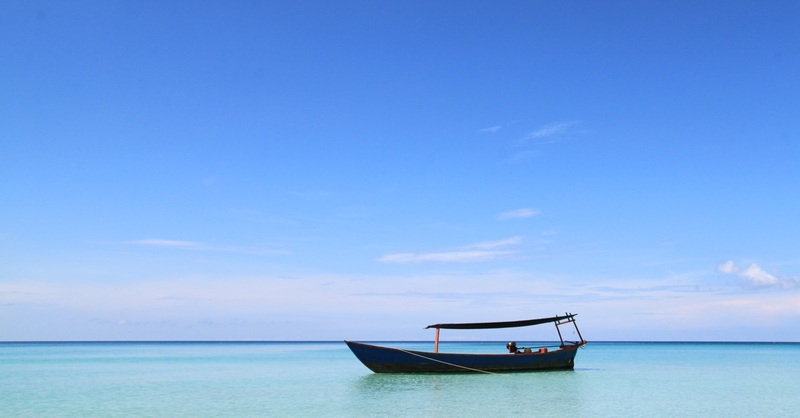 Staff can arrange tuk tuks or motos to get into town or explore the countryside, and book onward bus tickets when you finally drag yourself away. WiFi is available in the bar but not in the bungalows — all part of the relaxation service. The restaurant serves Khmer mains, such as pumpkin soup with Kampot pepper, and sizeable portions of salads, burgers and sandwiches. Place your order the day before for dishes such as snakehead fish coconut curry or fried crab. The Greenhouse shake, with peanut butter and chocolate, is almost a meal in itself. They also have an extensive selection of classic French dishes, and the preparation here is as delicious. We also enjoyed the wine list. The Greenhouse is popular with couples, expats and groups of friends looking for relaxation. Children are welcome, and life jackets are provided, but parents will need to be vigilant due to proximity to the water.